A native of Wisconsin, Schierl received a bachelor’s degree from the University of Notre Dame in 1957 and his J.D. from Notre Dame Law School in 1961. After serving for a year in the U.S. Army, Schierl joined Fort Howard Corporation in Green Bay, Wis., as general counsel and became the president of the company in 1974. He led the management group that, along with the Morgan Stanley Group Inc., took the company private in 1988. Paul retired from Fort Howard in 1990 as president, chief executive officer, and chairman of the board. In 1988, Fort Howard Corporation created The Paul J. Schierl/Fort Howard Corporation Professorship at Notre Dame to honor Schierl. The chair is currently held by Professor Richard Garnett, who is the director of the Law School’s Program on Church, State & Society. Garnett is the third faculty member to hold the chair. Professor Thomas L. Shaffer was the first, and the late Professor Robert Rodes was the second. “Paul Schierl lived a full and exemplary life in the law and in his community. He represents the ideal of the Notre Dame Lawyer, and it is an honor for me to be associated with him, his work, and his vocation,” Garnett said. Paul was a devoted member of the Notre Dame Law School Advisory Council from 1981 to 2009. In 1998, Schierl and his wife, Carol, also generously endowed The Paul and Carol Schierl Law School Endowment for the Study of the Legal Issues of the Civil War to the NDLS Kresge Law Library. The endowment enables the Law Library to build a unique collection of legal literature relating to the Civil War and helps to support and attract scholarship about the law, lawyers, and legal systems that influenced this era. Schierl was also very involved with his community and served on many boards, including Cornerstone Foundation of Northeastern Wisconsin, New Community Shelter, The Salvation Army Advisory Board, Green Bay Packers, Wisconsin Policy Research Institute, Federal Reserve Bank of Chicago, Catholic Foundation, Our Lady of Lourdes Parish, and the Saint Mary’s College Board of Trustees. 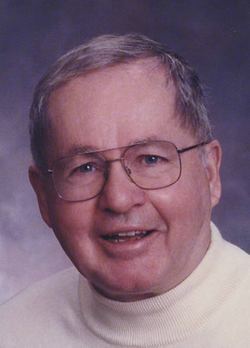 Of particular importance to Schierl was his service as a board member for several Catholic educational institutions, including Green Bay Area Catholic Education, also known as GRACE. Schierl is survived by his wife, Carol; five children, Michael, Kathryn, Susan, David, and Daniel; two step-children, Meghan and Sean; and several grandchildren and great-grandchildren. His five children are all graduates of Notre Dame or Saint Mary’s College. His funeral was held on Oct. 27. His obituary can be read here. Originally published by Denise Wager at law.nd.edu on November 01, 2017.